St Cuthbert's Way - Route History. 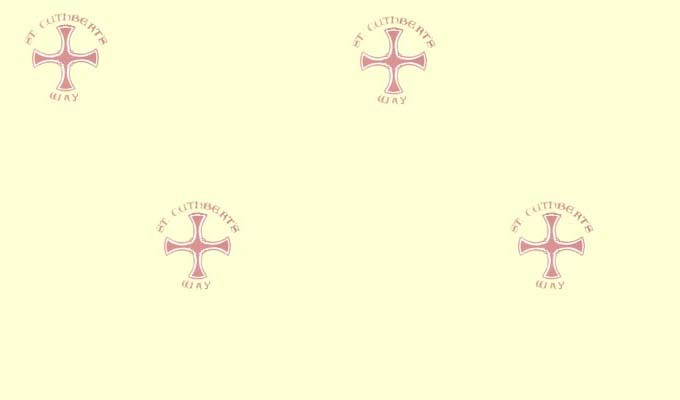 This page provides information on the history that is associated with this walk and tells something of the life of St Cuthbert in the 600's. 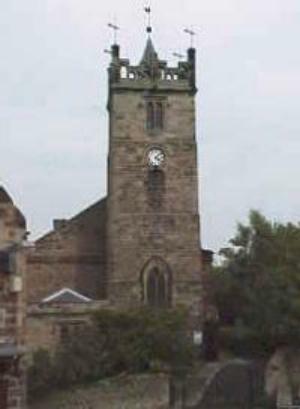 St Cuthbert (635 - 87) is thought to have been brought up in Lauderdale, and he became a shepherd near to the small community of Oxton. At the age of seventeen Cuthbert saw one night in a vision a great light in the sky, with a Christian soul being escorted to heaven by angels. He discovered the next day that St Aidan, the founder of the Lindisfarne and Melrose communities had died. He resolved at this stage to join the monastery at Melrose and then shortly became its third Prior. From Melrose he followed the monastery's founder St Aidan to Lindisfarne and was the Prior of Lindisfarne, then the Bishop of Hexham before returning as Bishop of Lindisfarne. During his period as Prior St Cuthbert used to seek solitude first on St Cuthbert's Island (small island adjacent to Lindisfarne and close to the Prior ruins) but then on the Inner Farne. This was only partial solitude for many monks and people came to the island to seek his healing powers and spiritual guidance. In the months just prior to his death he returned to the solitary life on Farne Island but on his death his body was carried back to the neighbouring island of Lindisfarne for burial. St Cuthbert was the third Prior of Melrose following St Eata and St Boisel or Bossil. In reality the first community was in Old Melrose some two miles downstream from the present Abbey. It was not until 1136 that the Abbey and monastery of Melrose were built by Cistercian Monks from Rievaulx with the encouragement of King David I, son of Queen (Saint) Margaret. This small village to the SE of Melrose takes its name from the Saint Bossil. The village is famed for the largest village green in Scotland in which was held the annual horse and cattle fair, certainly until after the time of George IV. This relates to a Teviotdale girl name Lilliard who to avenge the death of her lover slain by the Earl of Hereford's English troops at an earlier point took part in the Battle of Ancrum Moor until she fell with many wounds. The Battle of Ancrum Moor was won by the Scots under the command the 6th Earl of Angus but the victory was short lived with further raids by the Earl of Herefords troops. This massive L plan fortified tower was a traditional stronghold of the Ker family. It was built in around 1450 by Andrew Ker. The Kers were major players in the turbulent Reiving Times which resulted in numerous fights between the Scottish and English Border landowners. The Kers had another branch of the family not more than 10 miles away at Ferniehurst Castle by Jedburgh. This line spelt their name as Kerr and there was also rivalry between the families and arguments over the male line of descent. The castle was attacked in 1519, 1523 then restored before further attacks at the time of the "Rough Wooing" by the Earl of Hertford in 1543 & 1545. The ownership of the Castle has never changed family other than in name when Sir Robert Ker became Lord Roxburghe in 1600. The castle although a ruin remains in the ownership of the present Duke of Roxburghe. Below the large and ancient hill fort of Yeavering Bell lies the community of Kirknewton. This area has the interesting church of St Gregory and within a mile is Yeavering, said to have been the location of a palace for King Edwin of Northumbria. King Edwin is reputed to have married the Christian Ethelburga at this ancient community called Gefrin. It is also believed that Paulinus came to the area in 627 preaching the Christian faith and baptizing the locals in the nearby River Glen. 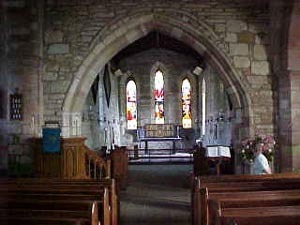 It is here that the church now stands, some parts dating back to the 12th or 13th century. The market town for the Glenside district. The town has a long history of frequent middle ages raids between the Scots and English. Little of the past is visible since the town suffered from two destructive fires in 1722 & 1862. St Mary's Church dates from 1765 and is one of the oldest buildings in the area. Just outside Wooler however there is the pre-historic Kettle's Camp and close by the Pin Well. The Well getting its name from the tradition of young women throwing bent pins down the well on Fair Days in the hope it would bring them good luck in finding a suitable husband. The Abbey that was home to St Cuthbert was on Lindisfarne and after his death it remained in use until the Danes invaded the Island in 875. The Danes distroyed the Abbey and there was no further ecclesiastical life here until the Benedictines from Durham built the 11th Century Prior whose ruins can now be seen and visited on the island. The ruins are under the management of English Heritage and further details on the Priory can be got by linking here. 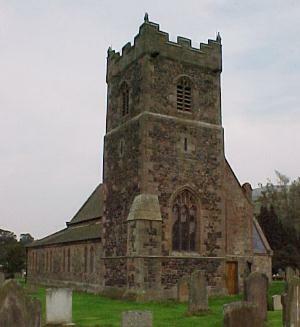 The Parish Church of St Mary's was also in existance at this time. This was built in the 1500, much of the stone being taken from the then deserted Priory. The castle also fell into decline but restoration took place in 1902 under the guidance of Sir Edwin Lutyens. It is now along with the Priory in the care of the National Trust. This is today an active church on Lindisfarne, but its history can be traced back to Norman times with its extension of pillars. Later developments took place in the 13 & 14th centuries. The Church still has a mission of love, hospitality and to reveal our faith in daily living. The church welcomes over 140,000 visitors each year. These manuscripts reproducing the gospels were produced in the 7th & 8th century in a Hiberno-Saxon style on many calfskins. The work was done by Eadfrith the Bishop of Lindisfarne from 698 to 721. 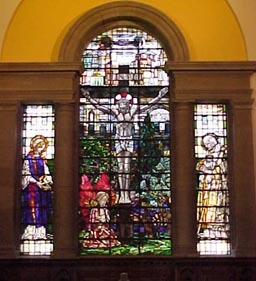 These beautiful works are now in the British Museum in London but photo-facsimilies are to be seen in the Parish Church. There is also reference to the famous Book of Kells, a similar manuscript produced by the monastery in Iona, the Book now being located in Trinity College Dublin.